Are you looking for a robust CRM with features beyond what DealerStar can offer you? We integrate and interface with the major CRM providers. What is the difference between integration and an interface? Service repair orders and labor lines. This creates a history in your CRM of your customer’s service visits and the work that was performed in DealerStar. 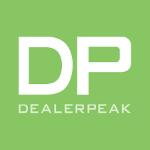 Vehicle inventory in stock – Your CRM receives information from DealerStar regarding the vehicles you have in stock in DealerStar including any pending repair orders or purchase orders. If you add a vehicle in your CRM, it “pushes” back to DealerStar. Sold new and used deals – After a vehicle is sold in DealerStar, your CRM provider receives the details of these sales. Customer database – DealerStar flags additions and changes to your customer and send that to your CRM and if you CRM adds the customer or changes info, that is sent back to DealerStar to update. Customer’s owned vehicles – these are the vehicles that are owned by your customers that are either added to the VIN database when they buy the vehicle or have it serviced. DealerStar sends this to your CRM. Pending deals. If your CRM creates a “deal” in their system, the deal details can be “pushed” to DealerStar and it goes into the F&I system of DealerStar.